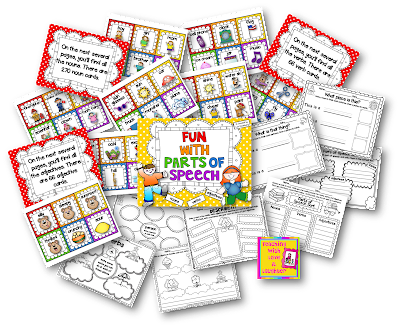 Tuesday was a complete washout, so I spent the day updating my Fun With Parts of Speech pack. 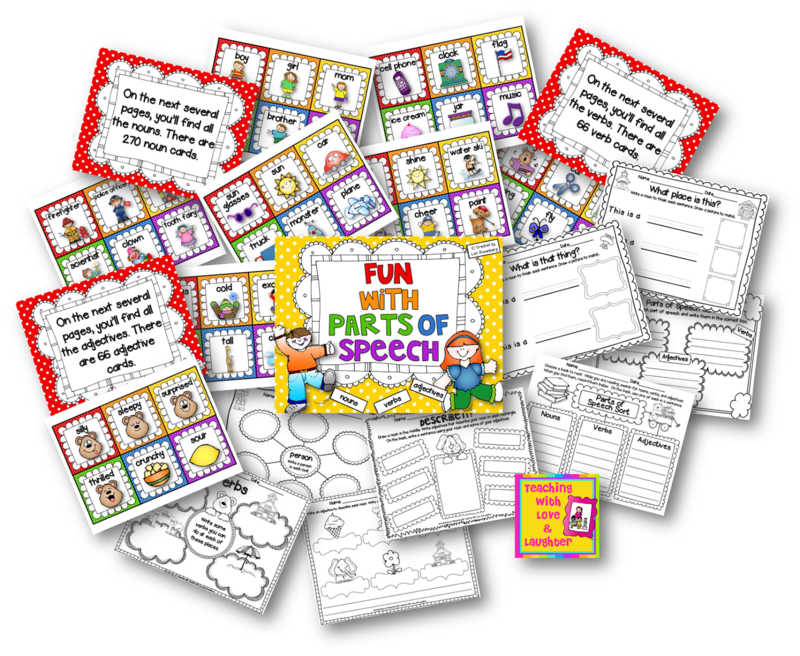 I added 84 more nouns, 6 more verbs, and a bunch of noun recording sheets that will be perfect for kindergartners. I plan on using this pack with Journeys, for both kindergarten and first grade. Journeys starts off the year with the different parts of speech in both grades, so I feel good knowing I already have plenty of fun activities for my grammar station. If you already purchased this pack, just click here and download it again. I added all of the new cards at the end of each part of speech so you know where you need to start printing. 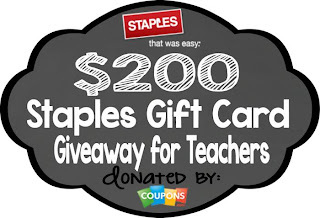 Don't forget to enter to win a $200 gift card to Staples! I have really enjoyed reading all the comments about what everyone would purchase if they won. I actually added more items to my wishlist! Just click on the image below to enter. Good luck! Aren't you sweet! Thanks so much for the kind words! They mean a lot to me! Thanks so much Jen! They were definitely a hit last year!